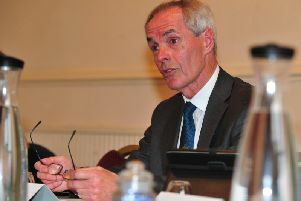 Harrogate Borough Council are to clamp down on poor rental conditions. Private landlords face being fined up to £25,000 if they rent out unsafe or substandard properties. Using new powers granted under the 2016 Housing & Planning Act, Harrogate Borough Council is to start issuing Civil Penalty Notices (CPNs) as an alternative to prosecuting troublesome landlords who persistently fail to comply with relevant housing legislation; or keep their properties in a poor state of repair. Fines will range from a minimum of £2,000; up to £25,000 for offences such as serious overcrowding in HMOs - houses in multiple occupation where more than one family may be living and possibly sharing facilities such as a kitchen or bathroom. The 2011 census shows the private rental sector as being an important part of Harrogate district’s housing market, accounting for around 17.5% of the total housing stock. The penalty notices and fines can only apply to offences committed after April 6, 2017 and the Council is prohibited from serving a penalty notice as well as seeking prosecution for the same offence. Any income generated from penalty notices must be retained by the Council and used to improve its policing of the private rental sector. Penalty notices will be enforced by Harrogate Council’s Housing & Property Private Sector Housing Team.